We are your construction partner! RELAX...AND LET US DO THE WORK! Your Local Design-Build Construction Experts! 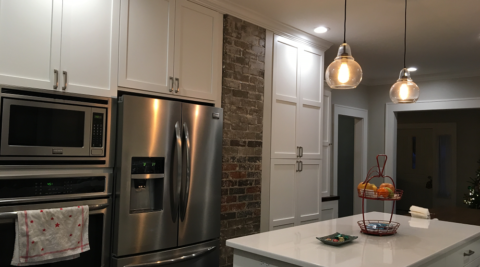 Whether it’s building your new home, remodeling your kitchen, bathroom, basement, or completing a whole house renovation, we’re here to help you every step of the way. Moose Ridge Design-Build Construction prides itself on customer satisfaction, so we really mean it when we say we’re here to help you. Just ask around about our reputation. You’ll love what you hear! 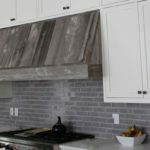 At Moose Ridge Design-Build Construction, we’ve built our livelihoods on renovating people’s homes and providing increased accessibility for all ages and lifestyles. Families spend a majority of their time in the kitchen: cooking, eating and conversing. 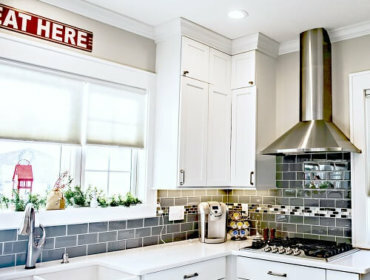 We can create the kitchen you've always envisioned. This is the epitome of a person's personal space. It's where you begin and end your day. 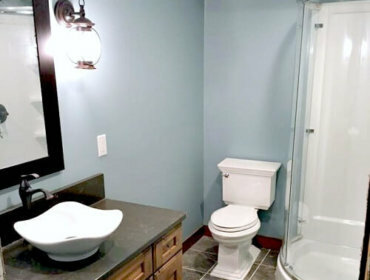 We can build you the bathroom of your dreams. Turn your basement into a destination. 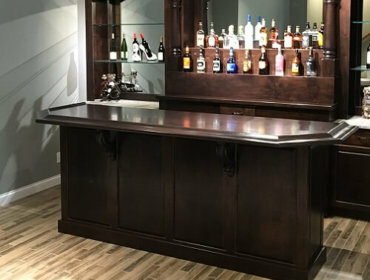 Whether you simply want to finish your basement, add an eye-catching bar, or some other idea...we can make it happen! Moose Ridge Construction has done two major projects for us over the past couple of years. 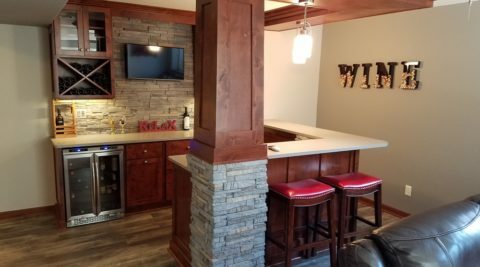 We’ve been impressed with the knowledge and professionalism that Aaron Steffens has shown with the bathroom remodel and a basement remodel. He was especially helpful and knowledgeable in the decisions that were made to make the bathroom remodel semi-handicapped accessible. The deck is beautiful. As I have said, The Grand Floridian Disney World Deck right here in Muscatine. I look forward to having you working in the kitchen in the Spring. That will be my final project for my area. It was a pleasure meeting you and your crew. Aaron was awesome to work with from the beginning to the end. He walked us step-by-step through the whole project and made things extremely unintimidating. We couldn’t be happier with our experience. Thanks so much Aaron for your help. Thought you deserved more than you charged me. Thank you for your timely work restoring our deck. Now it should last several more years. We appreciate your work! Thank you for being such a great contractor! You saved our negotiation by your great inspection. Thanks! You guys were great to work with! There’s Keystone Light in the fridge for all of you. (Old ladies are thrifty/buy cheap). 🙂 Hope all goes well. Remember, all mess, dirt, disarray you see here is as they say: What goes on in Vegas – stays in Vegas. Thanks for everything! Go Hawks!! Thanks for all your hard work! We couldn’t be more pleased with the project! READY TO PUT YOUR IDEA INTO ACTION? 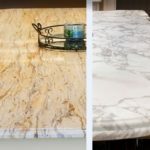 We would love to discuss your project with you and help answer any questions you might have.